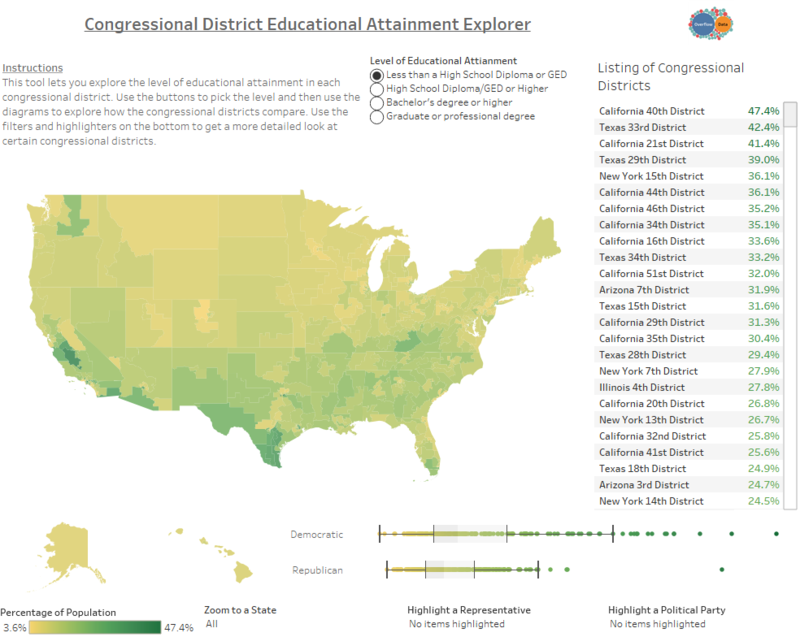 Earlier this week, I created a visualization showing how many people had a bachelor’s degree in each congressional district. 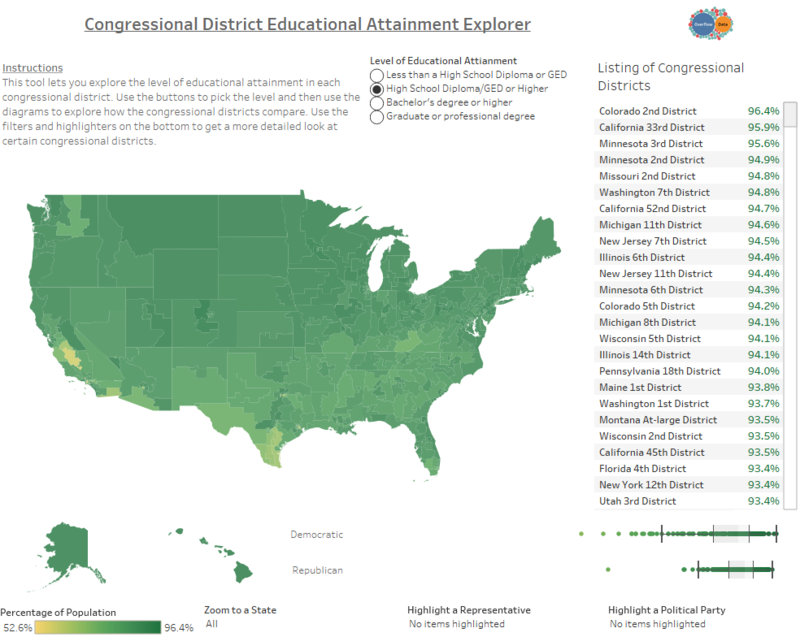 It seemed like a fair amount of people wrote it off as showing that Democrats are more educated then Republicans. 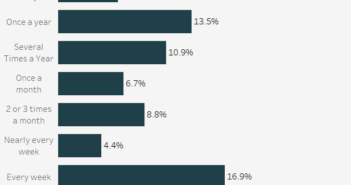 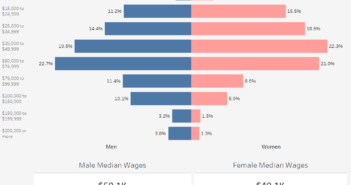 Since this wasn’t the point of my visualization and since it only shows part of the picture I decided to expand it to show different levels of educational attainment. 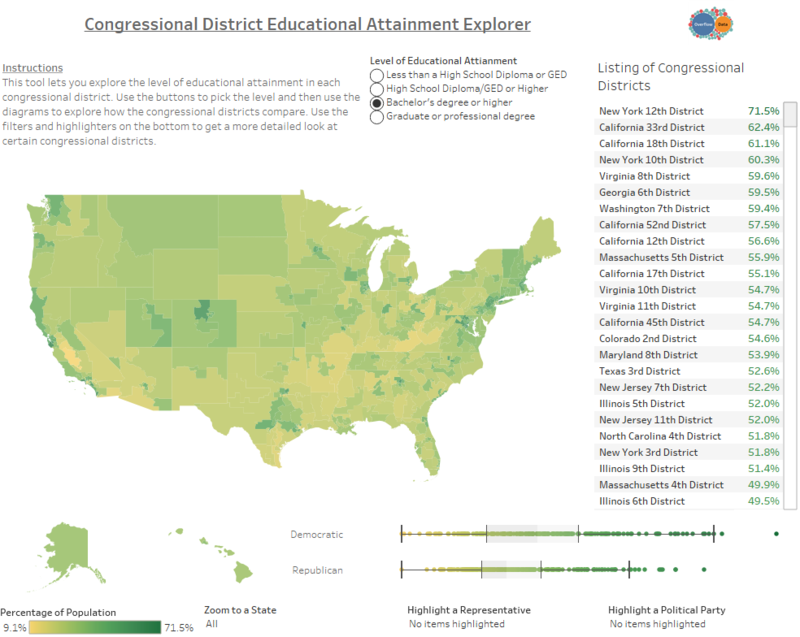 For this visualization, I used Tableau to create a represent data from the 2015 American Community Survey that shows what congressional districts have a higher educational attainment based on 4 different metrics.